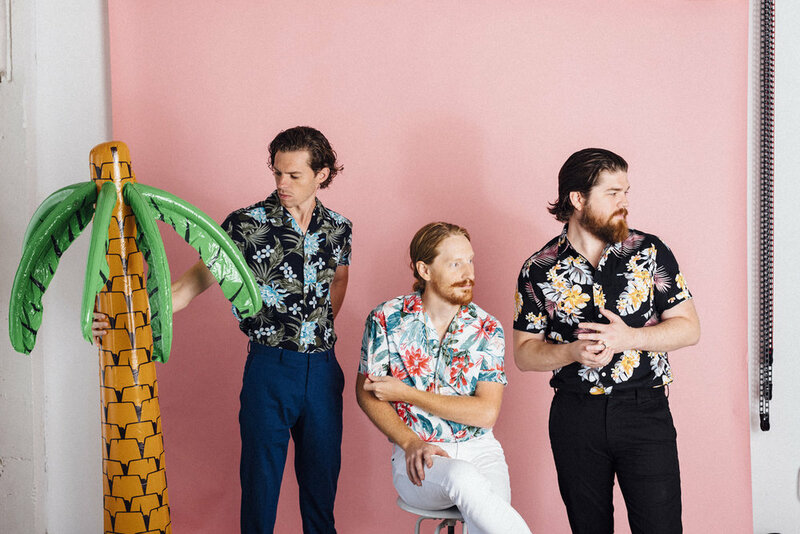 Soak Up Some Sun with Knox Hamilton's New Track "Video Sunshine"
We've been soaking up some sun with indie alternative band Knox Hamilton and their latest single. The Little Rock-based trio, which comprises brothers Boots and Cobo Copeland along with their longtime friend Drew Buffington, is making a name for themselves by reviving the 80s sound with a little 21st century flair and their new track "Video Sunshine" follows that formula. Vibrant and upbeat, it's a modern hit that conjures up the warmest feelings of summer, making it the perfect song to blast through the speakers on a coastal drive with the top down and the sea breeze in your hair. "Video Sunshine goes out to all of the people who we all dream about dancing in our music videos," vocalist Boots Copeland jokes. "If we were to make music videos. And if MTV still played said videos." The track follows "Trade My Trips" as the second single off the band's upcoming EP, which is due out this summer. Knox Hamilton will also soon support the EP with a tour through the U.S. "The Beach Boy Tour is going to be summer vacation every night," Cobo Copeland told Musical Notes Global. "Ain’t no party like a Knox Hamilton party."